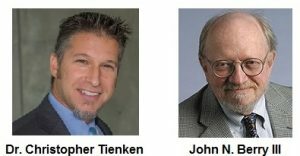 Please join us as we welcome guest speakers John Berry III (Editor-at-Large for Library Journal), and Seton Hall University professor Dr. Christopher Tienken for a lively discussion (with Q&A) on the topic of information and misinformation. When: Wednesday, March 29th at noon-1:15PM. During John Berry’s more than fifty years with Library Journal where he was Editor-in-Chief, he authored over 700 publications and maintained an active role in the American Library Association, spearheading many socially aware initiatives. He is a recipient of the Joseph W. Lippincott Award for distinguished service to librarianship. Dr. Christopher Tienken has authored over 80 publications. His research interests include school reform issues such as standardization, the influence of curriculum quality on student outcomes, and the construct validity of high-stakes standardized tests as decision-making tools. He was was named the 2014 College of Education and Human Services Researcher of the Year, and was invited to be a member of the Professors of Curriculum organization in 2015.